Joseph (neck) was a full participant at Wednesday's practice, Aaron Wilson of the Houston Chronicle reports. Analysis: Barring any setbacks, Joseph's full practice suggests he'll play in Saturday's game. The veteran cornerback was held out of last week's win over the Jaguars. 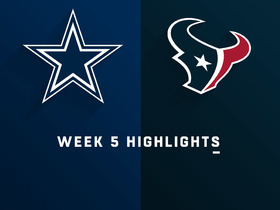 Joseph (neck) said he's trending in the right direction and is optimistic he'll play in Saturday's first-round playoff game against the Colts, Aaron Wilson of the Houston Chronicle reports. 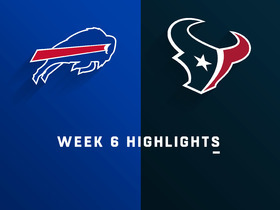 Analysis: Joseph sat out Sunday's 20-3 win over the Jaguars, the second game he's missed this season due to injury and just his ninth over eight seasons with Houston. 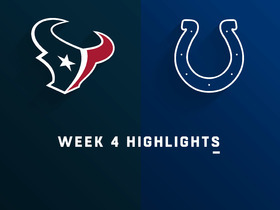 The Texans have the advantage of being at home, but they need all hands on deck in the secondary against Indianapolis' Andrew Luck, who completed 67 of 103 passes for 863 yards, six touchdowns and one interception in two games against them this year. Joseph (neck) is inactive for Sunday's Week 17 tilt against Jacksonville. Analysis: Joseph played through a neck injury earlier in December and was limited in practice with the issue this week. He should be back for the playoffs as the issue doesn't appear overly serious. Look for Shareece Wright to draw the start at left cornerback while Joseph is sidelined. Joseph (neck) is questionable for Sunday's game against the Jaguars. Analysis: Joseph also dealt with a neck issue in early December, but it remains to be seen if this an aggravation of that issue or a new injury. Regardless, the veteran cornerback was a limited practice participant this week and seems likely to play Week 17. Joseph (hip/illness) is active for Sunday's game against the Eagles. 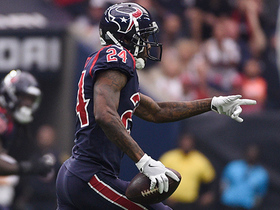 Analysis: Joseph was either limited or held out of all of the Texans' practices this week. It's unclear if he'll be limited at all Sunday as the team looks to secure the division and a first-round bye in the playoffs. Look for Joseph to see his typical role as the team's starting left cornerback, with Shareece Wright and Aaron Colvin likely to see a few extra snaps if Joseph does end up being limited. Josephy (hip/illness) is questionable for Sunday's game against the Eagles. Analysis: Joseph was a limited participant Wednesday and Thursday with the hip issue, but he was downgraded to a non-participant Friday while apparently falling ill. The 35-year-old's status remains up in the air, with Shareece Wright and Aaron Colvin likely to see increased roles should he be unable to play. Joseph had nine tackles (seven solo) in Saturday's win over the Jets. Analysis: Joseph also had a pass breakup, and the nine tackles represent a new season high. The veteran corner will flash similar production occasionally, but his three combined tackles over the previous two games illustrate his inconsistency as a cornerback. Joseph (neck/shoulder) is active for Sunday's contest against the Colts. Analysis: Though Joseph was officially listed as questionable, he was expected to play Sunday. He'll figure to start at cornerback, with Aaron Colvin or Johnson Bademosi likely to see some extra snaps if Johnson is at all limited. Jospeh (neck/shoulder) is listed as questionable for Sunday's game but is expected to play, James Palmer of NFL Network reports. Analysis: Joseph has practiced in a limited fashion this week, but it seems as though there isn't much legitimate concern about his availability. Assuming he suits up, Joseph will start at the cornerback spot opposite Shareece Wright. 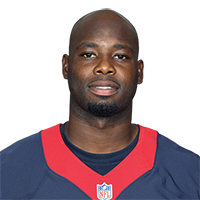 Joseph (neck) is officially listed as questionable for Sunday's game against the Colts, Aaron Wilson of the Houston Chronicle reports. Analysis: Joseph will attempt to play through a neck stinger and suit up for Sunday's tilt against the Colts, but he could ultimately be a game-time decision. Johnson Bademosi would benefit from an uptick in snaps if Joseph were to miss any time. Joseph (neck) was a limited participant in Wednesday's practice. Analysis: Joseph suffered a neck stinger during Sunday's win over the Browns. The veteran cornerback is reportedly expected to suit up without issue Week 14, but his participation in practice Thursday and Friday will nonetheless warrant monitoring. Joseph (neck) recorded one tackle, a pass defensed and an interception across 17 defensive snaps in Sunday's win over the Browns. 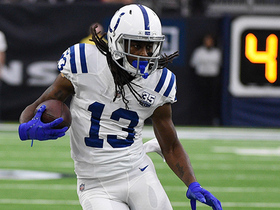 Analysis: Joseph exited the contest in third quarter due to a neck stinger and could miss a Week 14 divisional showdown with the Colts as a result. More updates in that regard should come once the team resumes practice this week. 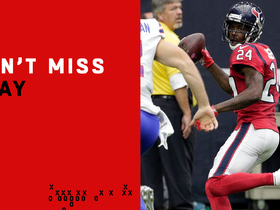 It was the veteran's second interception of the season, which trails just Justin Reid for the team lead. Joseph was diagnosed with a neck stinger following Sunday's game, but should be able to suit up in Week 14, James Palmer of NFL Network reports. Analysis: Joseph left Sunday's game in the third quarter due to the neck injury and was unable to return. Though the South Carolina product was not diagnosed with a severe injury, Joseph's practice participation next week should indicate if he will indeed suit up in Week 14. Joseph is ruled out for Sunday's game against the Browns due to a neck injury. Analysis: Joseph left the field during the third quarter. Aaron Colvin and Johnson Bademosi should benefit from increased defensive snaps as long as Joseph remains sidelined. Joseph (ankle) was a full participant at Friday's practice. Analysis: Joseph has been battling knee and ankle issues since mid-October, but he finally appears clear of the injuries. The 34-year-old should have his usual role as a starting cornerback Monday night against the Titans. Analysis: Joseph was hampered by knee and ankle injuries last week, but he was able to play all 75 defensive snaps in a Week 11 win over Washington. The ankle remains problematic, but the Texans will manage it leading up to Week 12 against Tennessee on Monday night. Joseph (knee/ankle) is active for Sunday's game against the Redskins. 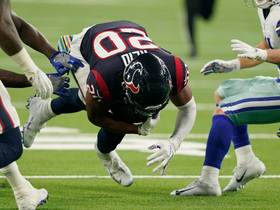 Analysis: The Texans' Week 10 bye provided sufficient time for Joseph to recover from the MCL sprain and ankle issue that forced his first absence of the season Nov. 4 against the Broncos. With Joseph having practiced in a limited fashion throughout the week, he should be ready to take on his usual allotment of snaps in his return to action. Joseph (knee/ankle) is listed as questionable for Sunday's game against the Redskins but is expected to play, Ian Rapoport of NFL Network reports. Joseph (knee/ankle) is listed as questionable for Sunday's game against the Redskins. Analysis: Joseph was a limited practice participant throughout the week after sitting out the game against Denver prior to the bye last week. Fewer practice reps aren't overly concerning for the 34-year-old, and consequently, it seems as though he has a decent chance to suit up Sunday. Joseph (knee/ankle) was a limited participant in Wednesday's practice, Aaron Wilson of the Houston Chronicle reports. 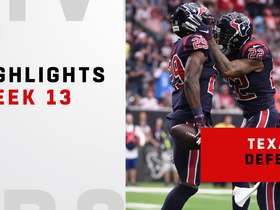 Analysis: Joseph appears to have progressed in his recovery from a sprained knee and ankle during the Texans' bye, and has a chance of suiting up against the Redskins on Sunday. If the veteran cornerback is unable to play Week 11, expect Johnson Bademosi to once again receive an uptick in defensive snaps. Joseph (knee) is inactive for Sunday's game versus the Broncos. Analysis: Joseph will miss his first game of the season, and Johnson Bademosi should see a hefty workload in his place. Joseph, who has 34 tackles, eight pass breakups and one pick-six this year, will rest through the bye week and shift his focus to Week 11 versus the Redskins. Joseph (knee) is listed as questionable for Sunday's game against the Broncos. Indianapolis Colts quarterback Andrew Luck hits wide receiver T.Y. Hilton for a 29-yard gain. 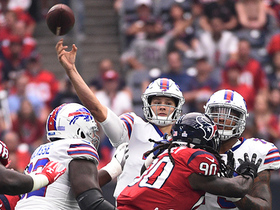 Buffalo Bills quarterback Josh Allen launches a pinpoint pass to wide receiver Kelvin Benjamin for a 39-yard gain.